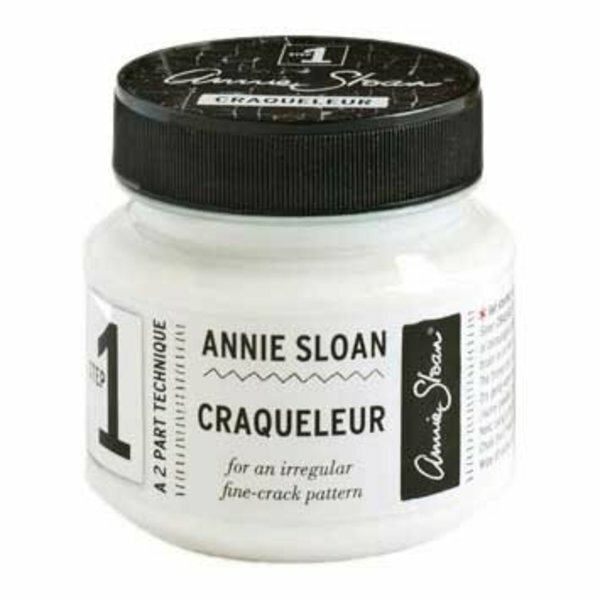 Annie Craqueleur is a unique two-part application for an authentic cracked varnish finish. Control the size of cracks with Step 2 ⎯ the thinner you apply, the smaller the cracks. You can then highlight the cracks with Dark or Black Chalk Paint® Wax.